“Our opinion is, build it and they will come,” said Alex Grant last Wednesday afternoon, standing behind a table on the sidewalk near Ryerson University’s library. 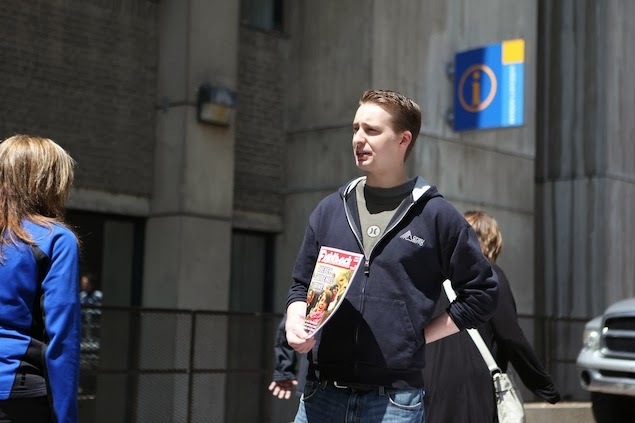 Grant and five other volunteers with the activist magazine Fightback doled out Marxist and socialist literature (including their own magazine) and collected signatures for a petition to demonstrate solidarity with Quebec’s striking students—and raise support for a similar uprising in Ontario next fall. Sympathetic students, however, were scarce.